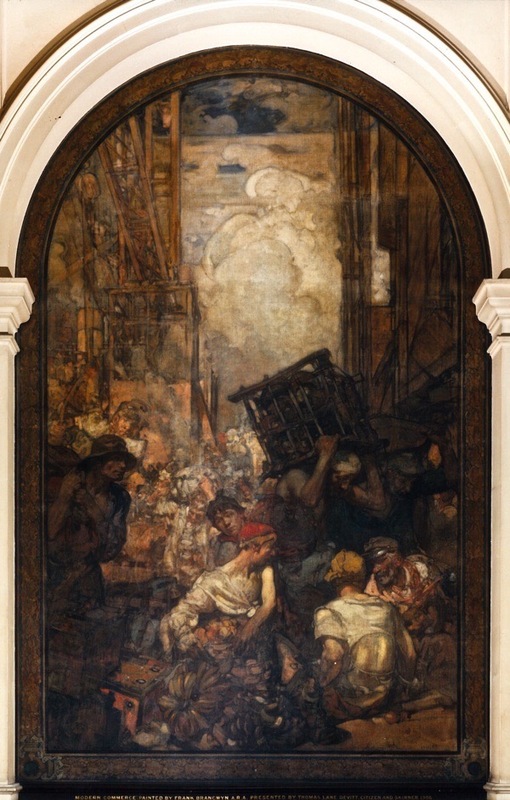 Source: Sparrow, Frank Brangwyn and His Work, facing 154. Formatting and caption by George P. Landow, updated by JB. "The Gentle Author." "Save the Royal Exchange Murals!". Web. 22 July 2018. 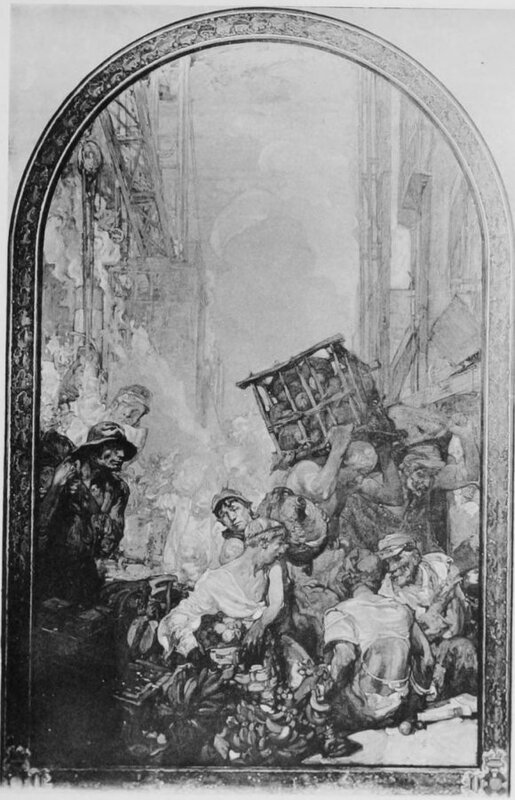 "Leighton and the Middle East" (about Lord Leighton's fresco in the sequence, Phoenicians Bartering with Ancient Britons. Web. 22 July 2018. Willsdon, Clare A. P. Mural Painting in Britain 1840-1940: Image and Meaning. Oxford: Oxford University Press, 2000.